My last update was November 2; about 2 1/2 months ago. A lot has happened, and very little has happened. In the ‘lot’ category: snacks, take-out, fast food, wine. In the ‘little’ category: healthy packed lunches, meal planning, self-control, basically giving a hoot. I was in a funk and I didn’t really care enough to pull myself out of it. It’s like I was waiting for something to magically yank me back to the mindset I’ve known before, and it wasn’t happening. My jeans became uncomfortable. My XL shirts became snug. Meanwhile, I have a dresser and closet full of size L tops that just a year or two ago I was ~this close~ to fitting back into. And 5-6 pairs of jeans. The new year came and I did my usual goal setting. The biggest is to get my weight and health back on track. Reality really smacked me in the face when I stepped on the scale a few weeks ago and the number was 3 pounds heavier than when I started Weight Watchers seven years ago. I lost around 30 pounds on Weight Watchers…much of it in the first year. Scratch that – much of it was lost in the first 7 months because I started WW in May. Between May 2010 and May 2012, I lost 35.8 pounds. I had to go look at the numbers just now to see my weight loss trend, and it’s just crazy what lies we will tell ourselves but ya know what? Numbers don’t lie. NUMBERS DON’T LIE! In black/white it’s staring at me. From 2010 to 2012 I logged my weight and measurements off and on and it was a consistent downward trend. For some stupid reason, I stopped logging there and would write it down on a scrap of paper – when I actually took my measurements, that is. I wonder how this is coming across to you as a reader because as a writer, my mood has actually shifted since beginning this post. I started this post as an update, but when I had to look up just how much weight I had lost, I became angry. You see it, the ALL CAPS up there! So I’ve wrangled my thoughts back in and will get back to my update. When I saw that ridiculous number on the scale earlier this month and was aware that I felt like crap most of the time, I knew it was time to get real. 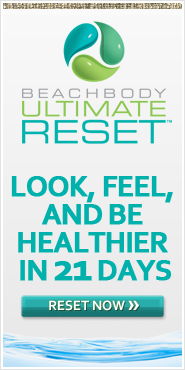 The first time I did the Reset, I lost 11.5 pounds over 21 days. I was extremely happy with those results. I lost six or seven pounds the second time, and I was consciously just going for progress, not perfection. I couldn’t be too upset about the weight loss. This time around, I don’t really know just what to expect. I am much heavier this time…so I believe I will lose at least what I lost the first time, if not a little more. I would be ecstatic with a 15 pound loss but I’m not setting a concrete goal for weight. Losing is losing at this point. I had to just get that ball rolling. I decided to jump right into the Reset because moderation was obviously not working for me. I needed something drastic. I also know I will have a somewhat significant loss, so that was appealing as well. A good loss would motivate me to keep going on the right track. I had a dull headache off and on the first few days because of caffeine withdrawal, but it’s mid afternoon now on Day 4 and I haven’t had a headache yet today. I’m hungry, but I know first I need to eat everything the meal plan outlines. Second, my body is used to my months of over-indulging so it’s going to be a little hungry for a while. It will pass. I’ve already made my plan for post-Reset. I’m going to go straight into a round of the 21 Day Fix because I need the structure and those containers are like numbers. They don’t lie. I plan to continue using the containers after I wrap that up, but I have been wanting to dig into Body Beast for quite some time and when I started it in December my sinus/upper respiratory junk put a stop to it and I didn’t start up when I felt better. So that means Monday, February 6 is Day 1 of the Fix for me – – in case you want to join me. My friend Brenda is already on board. It feels a little good – and a lot scary – to put this out there. I feel like people will make their judgments and one of those will be the fact that I am pretty public about my role as a Beachbody Coach and helping other people on their fitness journey. Well we know many things are easier said than done, right? I KNOW what to do, I just haven’t done it myself in a while. I can cheer others on, try to motivate them, encourage them, and commiserate with them. I just haven’t been rooting for myself. The ‘Beachbody coach’ title doesn’t mean I’m a know-it-all expert, it just means that I want to help others. I need to walk the walk though, and I haven’t been doing that. And I think we’ve all been in a situation where we know what we SHOULD do but we just plain don’t do it.